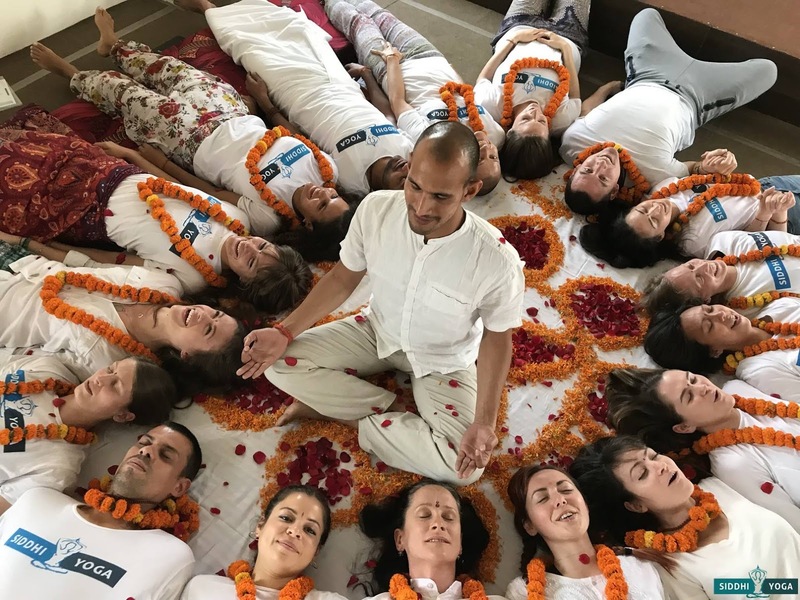 While in India, I spent a month taking an intensive yoga teacher training course (see An Unexpected Takeaway from My Yoga Course). Tara, yoga master, surrounded by his class of new yoga instructors. as it represents an abundance of emotions. The course was held in Dadh, about an hour's drive outside of Dharamsala. On the few days when we didn't have classes, I explored the countryside by foot. Below are my favorite photos from in and around Dadh. This Buddhist Temple was a 90-minute walk from my yoga studio. The backdrop of mountains and expressive clouds made the temple seem surreal. I maintained my sanctity and proper decorum. I kept pinching myself and wiping the drool from my mouth. Hubba hubba! This well-dressed fellow was shepherding his flock. Can you spot his sheep happily roaming about the hillside below? This deceased cow was covered in flies and draped in red cloth. I was told the cow would receive the same burial afforded to humans. Visiting India is like an amusement ride for the senses. The pungent smells and the rich colors were the most powerful. This starfish-like weed swam all alone on an Indian red wall. forest filled with prayer flags. The locals were incredibly friendly. This woman offered chai. colorful vehicles parked out front, and lines of clothes hanging to dry. Nearly every home had at least one cow in the yard. by such short leashes and munching on plastic bags and other garbage. "Blowhorn and "Use Dipper at Night." Piles of dung dried on the rocks to be used for electricity and heat. One afternoon I set out on a long solo walk up into the mountains. at a ridge's top that gifted a grand view into the valley below. Along the way, I passed a husband and wife carrying impressive bundles of hay. as if they were fashionable fascinators. This abandoned home with waterwheel was too picturesque to pass up.